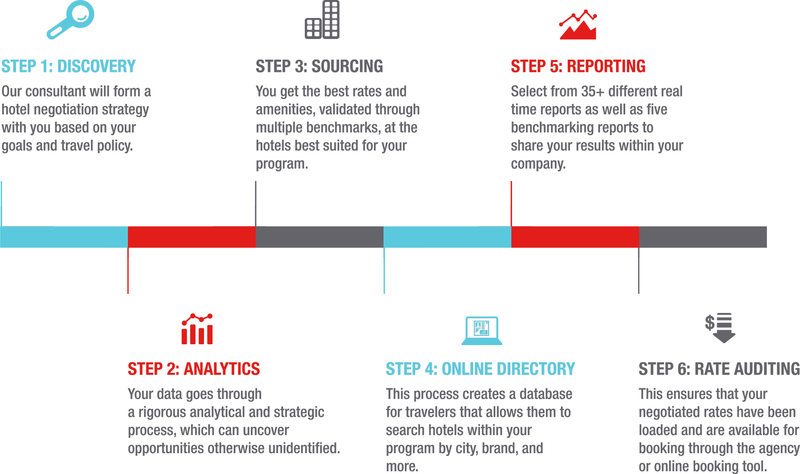 Did you know that 87% of companies get better corporate hotel rates when they partner with a hotel consultant? Get the best consultants on your side. By partnering with Direct Travel’s Hotel Consulting Services team—with over 25 years of industry experience—you can be sure you’re sourcing the best possible rates and amenities.